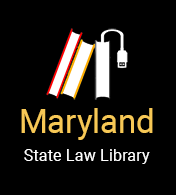 The Clinical Law Program provides legal services to individuals, families and communities throughout Maryland in a variety of ways, including working with the professional schools (medical, pharmacy and social work) on interdisciplinary approaches that serve clients holistically. The Clinic considers all requests for assistance on a case-by-case basis. Aside from their time in the Clinical Law Program, University of Maryland Carey School of Law students are not licensed attorneys and cannot be retained to represent you in a legal matter.